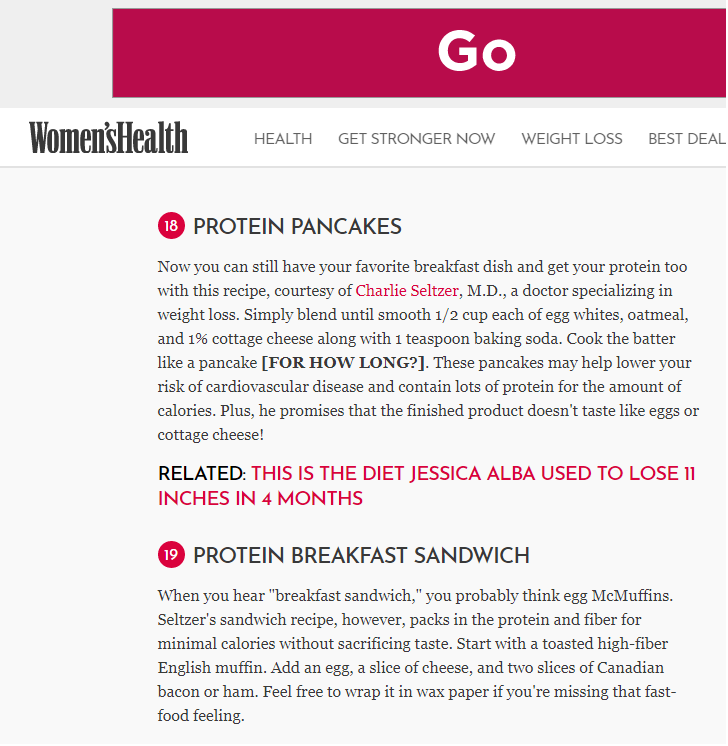 This great article from Women’s Health Magazine includes two of my favorite recipes. You don’t NEED to eat breakfast, but if you do, go for something with a good amount of protein, and make sure you like it. Long-term success in weight management suffers if you dread the things you eat.